Hector Enriquez first visited UC San Diego when he was 12 years old as part of a summer program. During his free time, he would explore the campus and envision himself as a student. 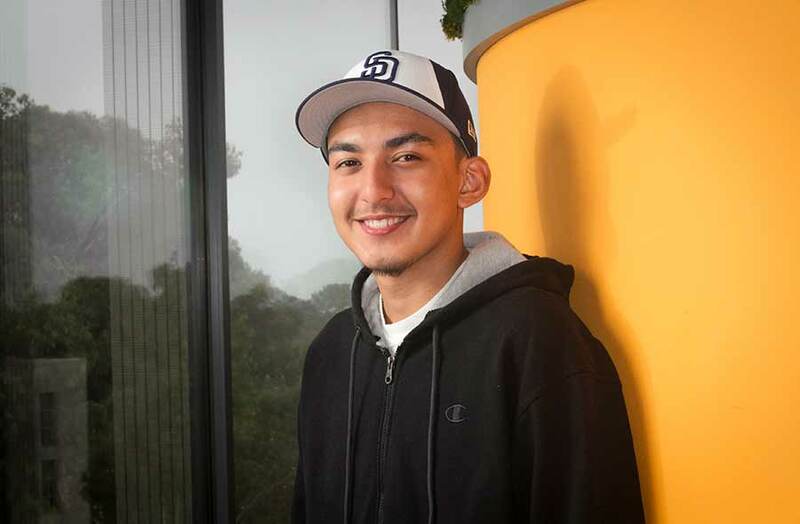 A year later, he learned that if he succeeded in his classes and was admitted to UC San Diego, he could be awarded a Chancellor’s Associates Scholarship, which would cover his full tuition and housing costs. This fall, his dream came true. Enriquez is the first in his family to attend college, and he is already inspiring his siblings to follow in the same path. Enriquez was among more than 200 new and returning Chancellor’s Associates Scholars who were welcomed to campus on Oct. 4 at the program’s academic year kickoff. The event is the only time during the year that scholars from all classes get to meet their new “family” and enjoy appetizers and music in Matthews Quad. This fall, nearly 250 new scholarships were awarded; since the program began, over 850 students have received the scholarship—with a great majority representing the first in their family to attend college. 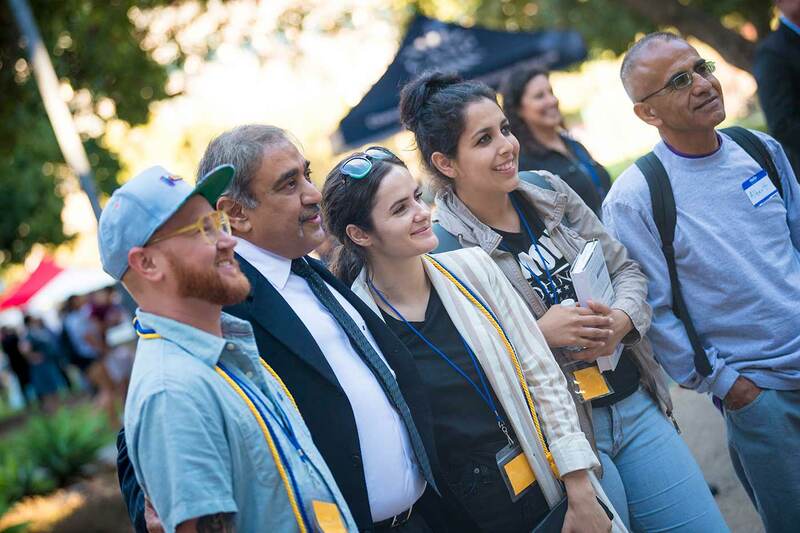 Chancellor Pradeep K. Khosla created the program in 2013 as a way to improve the educational pathway for local, ambitious students to attain a higher education. When paired with the UC Blue + Gold Opportunity Plan, the program essentially provides a full scholarship for eligible students, covering tuition, on-campus housing, books and more. More than just a scholarship, the program includes as summer transition program, leadership and communication seminars, peer and faculty mentoring and more. 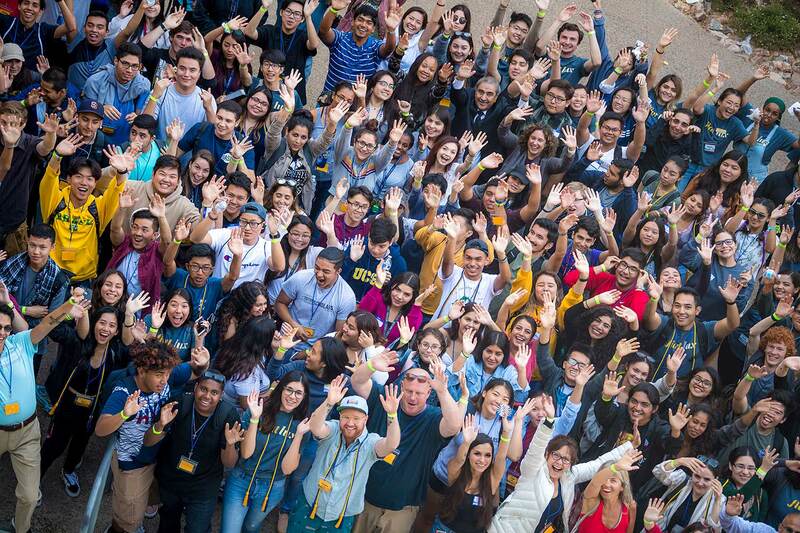 Chancellor Khosla welcomed new and returning scholars, affirming that each and every one of them belongs at UC San Diego and will be supported in achieving their academic goals. The program draws students from Lincoln High School, Gompers Preparatory Academy, The Preuss School UC San Diego, e3 Civic High and Hoover High School as well as students from Reality Changers—a local program that helps youth from underserved communities become the first in their families to attend college—and California students enrolled in federally recognized tribes. The program also awards scholarships to select eligible transfer students from San Diego City College, Southwestern College and Imperial Valley College. San Diego Unified High School District Superintendent Cindy Marten attended the event to offer her well wishes to not only students from her district but all scholars. As a UC San Diego alumna, she described how she constantly draws from the education she received to lead the second largest district in the state. 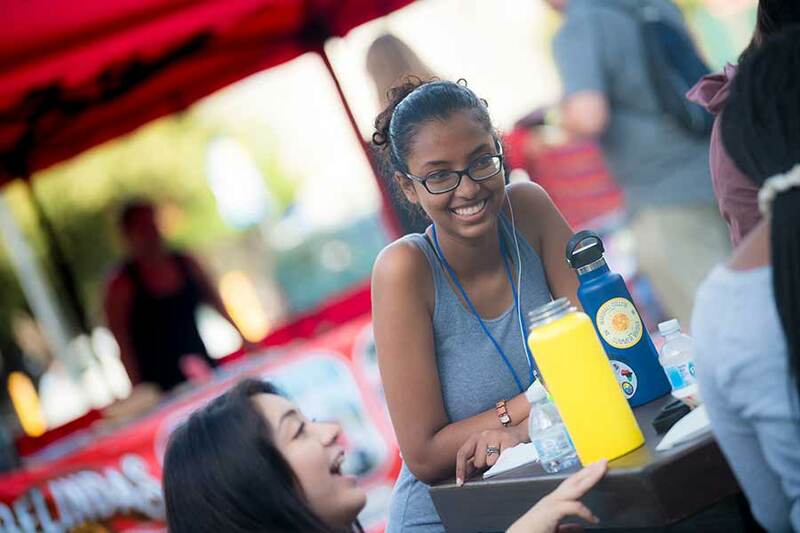 The academic kickoff offered a chance for hundreds of scholars to meet and connect while enjoying appetizers and listening to music in Matthews Quad during the first week of the quarter. For Enriquez—who grew up in SouthEast San Diego and attended Lincoln High School—making a difference means becoming a high school teacher or counselor so that he can motivate the next generation to seek higher education. His plan is to study human development and education at UC San Diego and pursue a master’s degree afterwards. On starting college, Enriquez is excited but also nervous. Yet the scholarship will enable him to have more freedom to study and take part in extracurricular activities like intramural baseball and student organizations like Movimiento Estudiantil Chicano/a de Aztlan (MEChA).